Whatever event you are planning, the One World Dance & Drum performance group is a great choice for uplifting entertainment. Consider us for your upcoming fundraisers, parties, weddings and festivals. We are quite versatile. We can offer your event everything from a single musician playing slow soft sweet melodic Kora music, all the way to a full company of 15+ West African Dancers and Drummers exploding into vivid colorful movement and music! Contact us for more information or to book your event today! One World Dance & Drum is committed to sharing the rich and incredible culture of Guinea, West Africa with students of all ages. Whether you are a preschool or a graduate university, we offer age-appropriate programming that will engage your students and expands their cultural awareness in a fun and enlivening way. Our high energy assemblies offer a mix of cultural education, performance, and audience participation. We captivate students with traditional African drumming, dancing, singing and costumes, peaking their interest in this far away land. Your students will leave the assembly knowing something about the history, geography, languages, costumes, instruments and people of West Africa. Depending on your needs, we can offer a stand alone assembly or multiple "sessions” for bigger schools. If you are looking for a one time special opportunity for your students to participate with and learn about the amazing Guinean culture and art, the workshop format is for you. We offer fun and engaging workshops in traditional African dancing, drumming, singing, mask making, language learning, cooking, instrument making and/or costume making. Our workshops give your students the chance to be creative, work in groups, and gain cultural understanding and global awareness. We are happy to work with you to customize your workshop experience to best fit your needs. 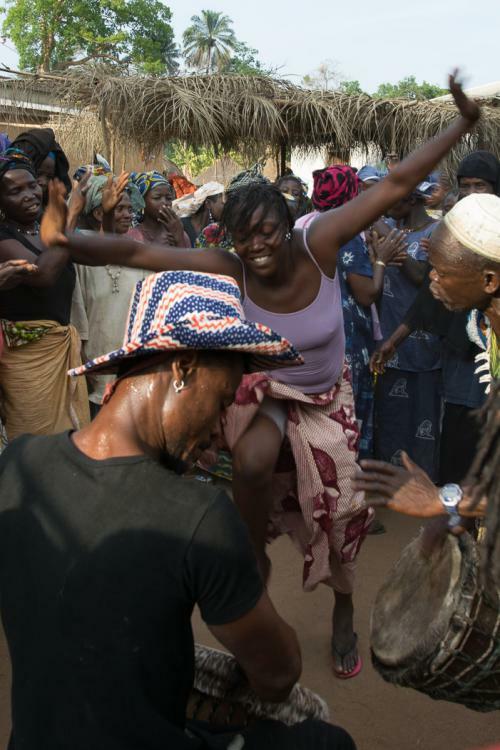 Residencies are an awesome intensive way for your students to really delve into and learn a deeper level of the culture, dance and drum of this very special place called Guinea. Our residency program can include in-depth study of traditional African dancing, drumming, singing, mask making, language learning, cooking, instrument making and/or costume making. 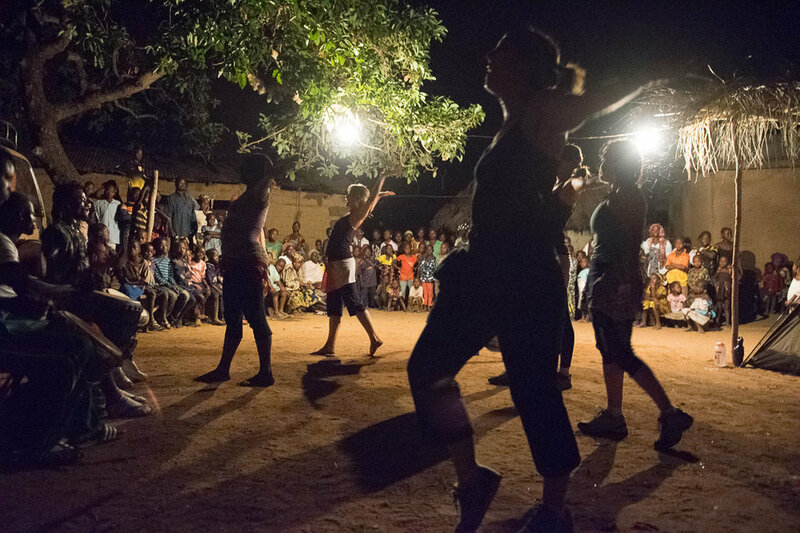 Many residencies culminate in the participants showcasing what they have learned in a sort of grand finale African music, dance, and/or art show. We can provide day-long, week-long, month-long and even semester-long intensives. We will work with you to support the unique structure and content of your curriculum. Are you new to dancing or drumming and looking to get a jump start? Or perhaps you are a casual student looking for clarity on a few finer points? Maybe you are a focused and serious student who would like to deepen the technique you already have. In any case you might find yourself wanting some private instruction and personal attention. We would be happy to meet with you once, or on an ongoing basis to support you in your learning. Contact us to schedule your own personal private lesson(s). Invite a friend and save! Discounts are available for semi-private lessons.